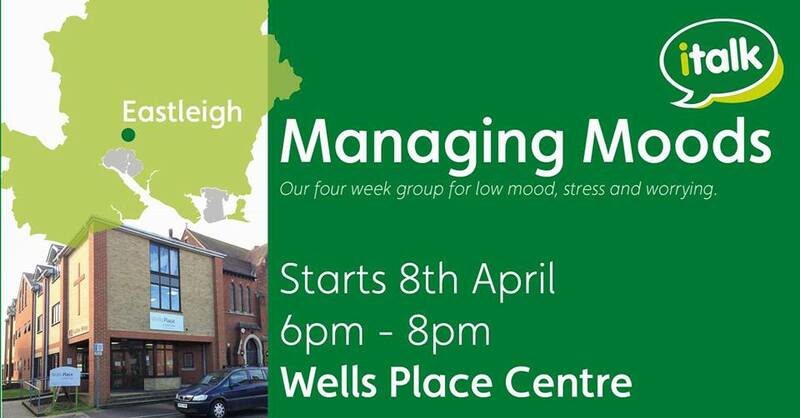 Managing Moods is our free four-week group teaching practical ways to manage your low mood, stress or worries. Past attendees have said it helped them to understand how they’ve been feeling and feel confident about moving forward. The groups are presentation-based, so there will be opportunities for discussion, but no pressure to share your personal experiences. Minimum attendance is 3 out of 4 sessions, so you’re welcome to join from 15th April if you can’t make the first session.